In Tobago you will find it all. Windsurfing, kite-surfing and 'regular' surfing. It has beaches specific for each type of surfing. Located off a beach famous for safe family fun and snorkelling, this top quality right hand reef breaks down the headland on the north side of the double-scalloped bay. It’s a fast, racy wall with pits to park in and lips to float as it peels down the colourful live coral platform. N-NE swells from Nov-April are the key, it’s usually offshore all-day and will be better at mid to high tides. There’s also a left further down the reef on the biggest swells. 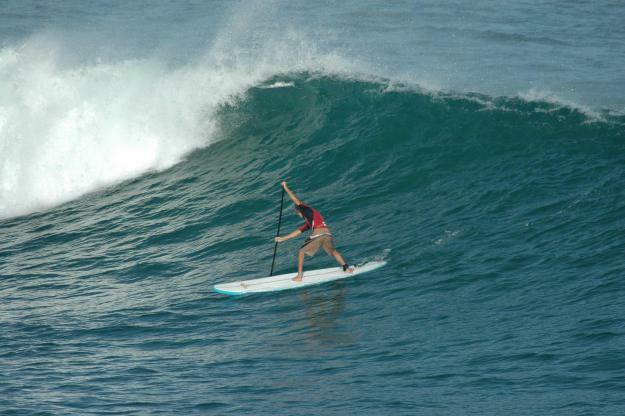 Crowds get thick when it’s on, parking is scarce, the paddle is long and the locals expect to dominate the peak. Dead flat in summer. The heavy local crew jump off the rocks, but it’s safer to paddle out from the middle of the bay. It never breaks in summer, but is fairly consistent (5/10) during the winter months. 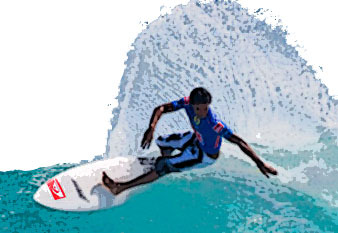 View detailed surf forecast for Mount Irvine. Visit surf-forecast.com for more details, long range forecasts, surf reports, swell and weather maps. The next way of surfing is gaining more and more popularity in Tobago: kiteboarding or kite surfing. 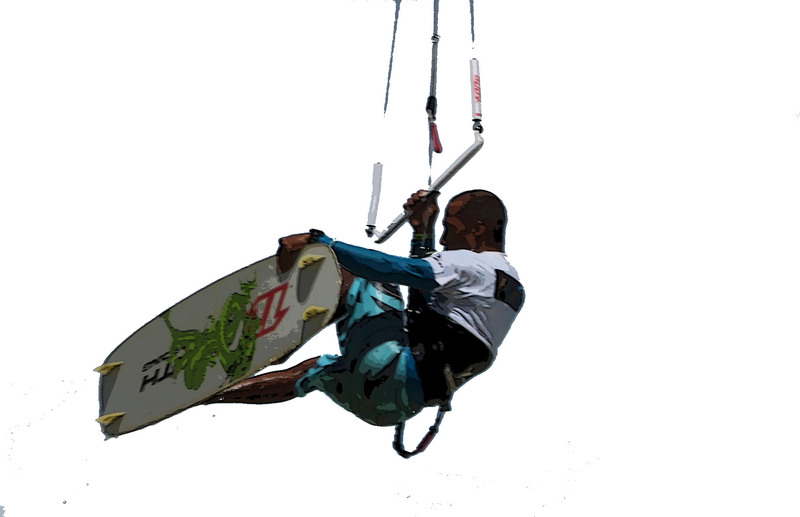 The most popular beach for kitesurfing is now located between Tobago Plantations and Rockly Vale. Of course the famous Pigeon Point Beach is also a very popular spot and from here courses can be booked. Again there are other kiting spots on the island but they may take a bit of experimenting. If you are prepared to do a little searching or asking around, then you may discover a virgin beach where it would feel like no human has ever been! Tobago is a great place for a windsurfing. The winds are normally east to north east from October to May, averaging 12 to 20 knots. During spring they switch east to south east, about 8 to 15 knots until the rainy season in July. There is always the occasional exceptional day in between. November to January have the most constantly strong winds. The best intermediate and beginner conditions are in August to December, as low tide makes water conditions very smooth in the lagoon. June usually produces the strongest winds in this period averaging 25 knots. Constant and consistent trade winds blow almost all the year round. The sailing location is breathtakingly beautiful! At a low tide the water is flat, and crystal clear blue. There is no need to use a wetsuit in the warm Tobago waters, so don’t bother to bring it. The place is ideal for beginner to advanced sailors. The shallow waters of Tobago are perfect for practicing at any level. Windsurfers watch out for your fin since some areas are seriously shallow. You can sail upwind to a small sandy island, or go out to the edge of the reef - you'll be amazed at how far away it really is. However, don't try to cross; it is only possible to pass the reef at a high tide in a few specific channels. Outside lurks big and gnarly surf conditions. That may sound inviting, but fast, powerful waves that break on to dry reef is a totally different matter to having fun at your local beach break. Especially when the surf is so far offshore that you are totally on your own if anything goes wrong. The rescue boat may not be able to get over the reef or handle the surf. This kind of surfing can be done nearly everywhere. Even exploring some of Tobago's rivers is possible. Either exploring the coast or a river, this is one of the way's to explore Tobago in an active way. There's even a special night tour available.